HappinessCounter received the 2012 Good Design Award and Good Design Best 100! As William James stated, and confirmed by several psychological studies, making smiles positively affects on our mental status — we become happier when we laugh. Inspired by this theory, we propose a new digital appliance that naturally facilitates making smiles in our daily life. This system is mainly designed for people living in alone who have difficulty to realize when they are in low spirits and/or to make themselves smile. 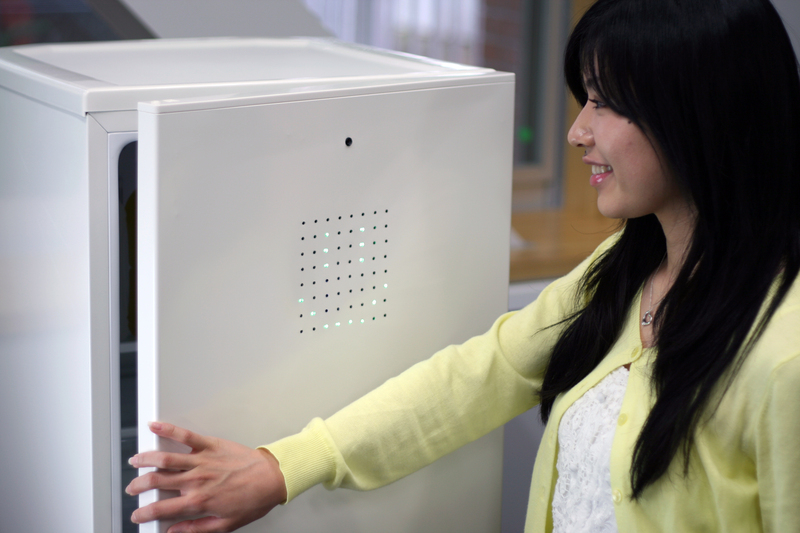 Our HappinessCounter combines visual smile face recognition, user feedback, and network communication. We installed this system in a home with a single householder, and the system had positive effects on improving the user’s mental status. Hitomi Tsujita and Jun Rekimoto, Smiling Makes Us Happier: Enhancing Positive Mood and Communication with Smile-Encouraging Digital Appliances, Ubicomp 2011 paper.